I am reasonably ready for summer. 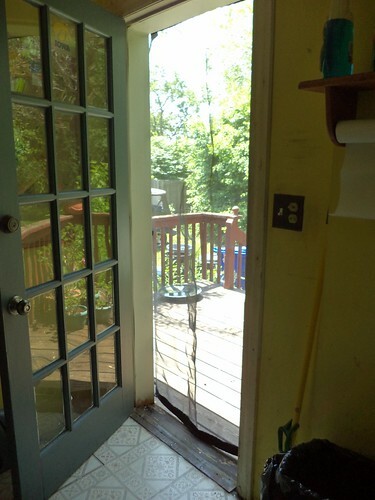 I found the screen to cover the back door. The velcro on the left side is pulling away from the siding. I need to go get more from the craft store, but otherwise, the velcro survived quite well, our nasty winter. I found the can of front steps paint. I think there is just enough left to add a coat to the steps. Next year's touch up will require a new can. 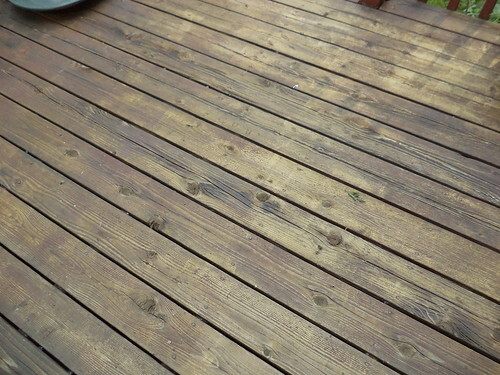 I like the more natural color of the wood on the deck, now that it's been washed. I'm thinking of trying to match this or go with a clear water repellent. 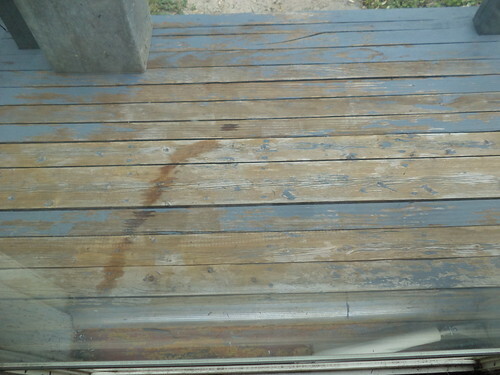 The dark red that the deck has been for years gets really warm and uncomfortable in the summer. This might be a touch cooler. I'm ready now. Bring on summer sitting on the deck.